My favorite comment, though, was his response to the question, If you had to use a metaphor or analogy to describe this work, what would you choose?. His response was one I had not yet heard used for hypertext literature: a Rubrik’s Cube––the idea that the reader reorganizes many little cubes, puzzling over them, arriving perhaps at a larger concept. We plan to have rough cuts of both ready next week. They will debut in Barcelona at the end of the month. We love serendipity. When everything lines up and makes some miraculous event possible, it’s easy to blame the stars for the good fortune. Our good fortune is that Michael Joyce’s wrote us yesterday asking if Stuart and I had made a video of traversals for afternoon: a story and, if so, could he use it at the upcoming exhibit in Barcelona, curated by Giovanna Di Rosario? The request came at the same time that DH/E-Lit scholar Dr. James O’Sullivan, my co-editor for the book, Electronic Literature: Contexts, Forms, and Practices (University of West Virginia Press, 2016) was visiting me and giving a talk about his research to students and faculty in the CMDC Program. Along with that development, I also happen to have a darn good student videographer, Shane Staub, working with me on another project (Game Changers). 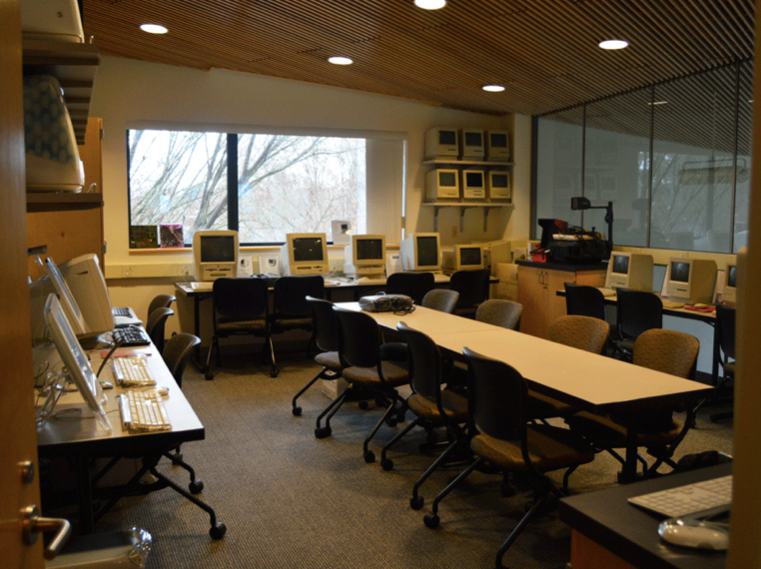 And finally, we were just celebrating the re-opening of the Electronic Literature Lab this week after three months of planning and moving equipment. 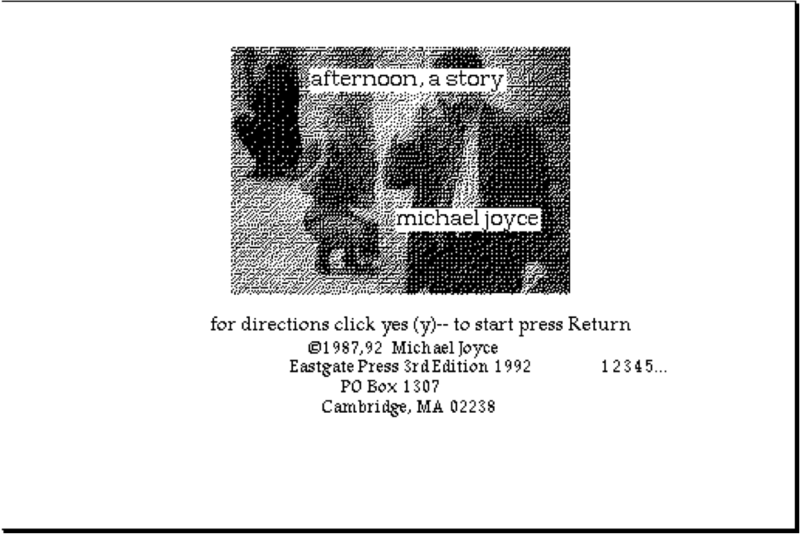 So, today we are hosting a serendipitous reader traversal featuring James of Joyce’s hypertext novel, an event that will be memorialized on video by Shane. Greg Philbrook, my tech guru will be on hand to handle any equipment needs, and I will be present taking copious notes and tweeting the experience for everyone else. Maybe we should not blame the stars, but rather thank them because Stuart and I have now planned for formal traversals with M.D. Coverley and her work Califia in March and Joyce of his work in late spring. 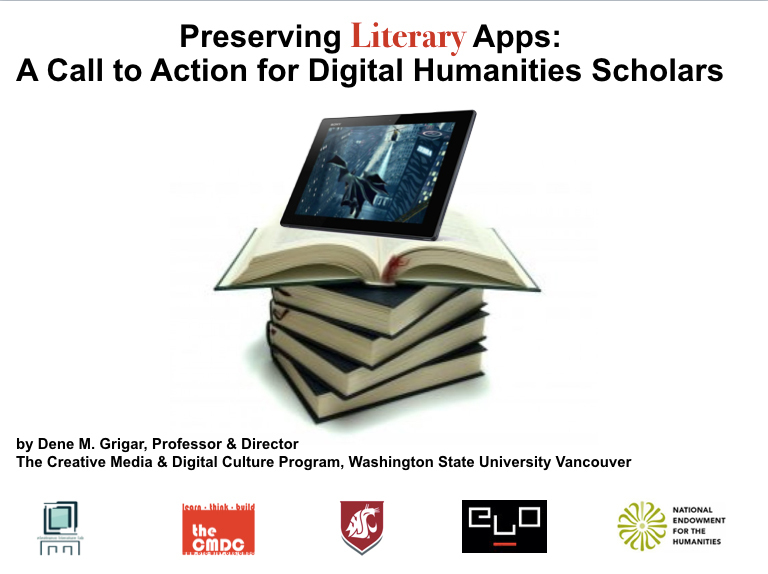 Below is an abridged version of the paper, entitled “Preserving Literary Apps,” I gave at the MLA 2016 on Sunday, January 10, 2016 at the Reader Mediations in Electronic Literature panel with (organizer) Elika Ortega, Kathi Inman Berens, and Rita Raley; Mark Sample, Chair. The original paper is 25oo words in length and the slide show, created in Keynote, contains 29 slides. Much appreciation to Eileen Clancy who created a Storify about it. 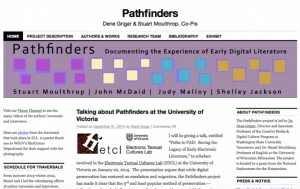 For the past four years I have been involved in preserving works of electronic literature through a project called Pathfinders: Documenting the Experience of Early Digital Literature with colleague Stuart Moulthrop from the University of Wisconsin—Milwaukee). Our efforts have focused on pre-web hypertext fiction and poetry, from 1986-1995 produced with programming languages like BASIC or authoring systems like Storyspace and HyperCard and require a degree of interactivity between the reader and the work. These works were also among the first to be sold commercially in the U.S. and, because of their availability through commercial distribution, were influential in shaping literary theory and criticism that, today, are used to discuss born digital writing. 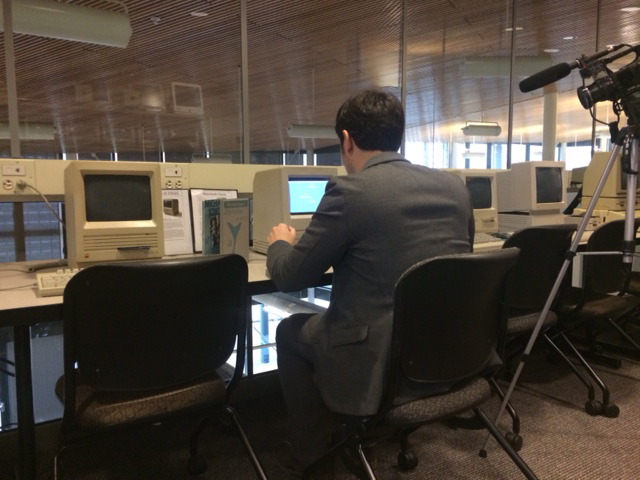 They are also literary works in danger of becoming inaccessible to the public because they were produced on and for computer platforms that today are obsolete. While some very popular works of electronic literature from this period, like Judy Malloy’s ground-breaking database novel, Uncle Roger, have been emulated for use on contemporary computers, or like Shelley Jackson’s Patchwork Girl, have been migrated from their original floppy disks and CDs to flash drives, the bulk of the works produced during this period are in danger of becoming lost to literary scholars because they literally cannot be read due to the fact that they require software and hardware no longer available. Stuart and I see this as a serious problem because these works represent an important aspect of our late 20th century-early 21st century cultural experience in that they demonstrate the moment when literary artists began to make the leap from paper to the electronic medium for the purpose of creative expression and experimentation. Our research led us to document four works––Judy Malloy’s Uncle Roger, Version 3.3, John McDaid’s Uncle Buddy’s Phantom Funhouse, Shelley Jackson’s Patchwork Girl, and Bill Bly’s We Descend, an activity that has culminated to date as a multimedia eBook, entitled Pathfinders published last June and a book of critical commentary called Traversals forthcoming with MIT Press this year. Our work is ongoing. 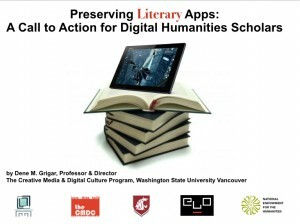 Now as we are planning for the next round of e-lit to document, I am also turning my attention to literary mobile apps, which I see as another body of born digital literature facing comparable challenges as a durable art form. “What is a literary app?,” you may ask. 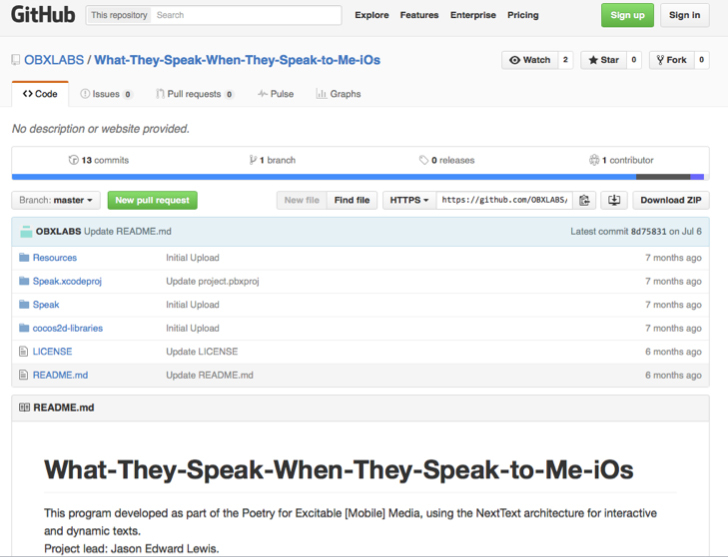 These are narratives, works of poetry, or essays produced and distributed to the public as an app for mobile devices. 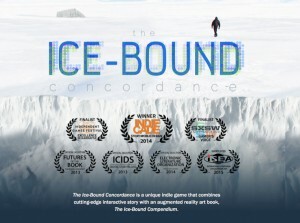 Examples include Erik Loyer’s haunting digital narrative Strange Rain, a work that received much notice in the press when it was first released in 2011. Mark Sample presented a paper on the work at the MLA in 2012 (http://www.samplereality.com/tag/erik-loyer/). 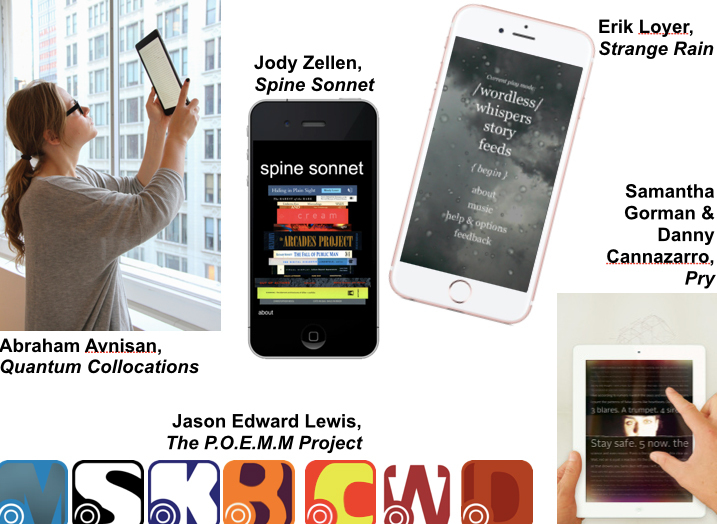 Jason Edward Lewis has produced seven poetic works as apps in an award-winning series called The P.O.E.M.M. 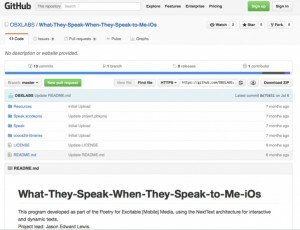 Project, or “Poetry for Excitable [Mobile] Media” (http://www.poemm.net). Samantha Gorman and Danny Cannazarro’s mobile narrative, Pry, is another award-winning, well-regarded work produced as an app. Abraham Avnisan’s Quantum Collocations. 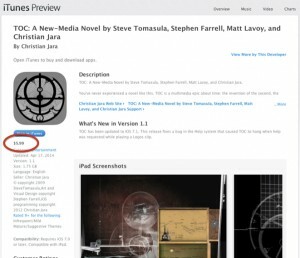 The literary work my colleague Kathi Inman Berens will be discussing,TOC: A Novel by Steve Tomasula, was originally produced on DVD but reworked for the app environment. Many artists have experimented with apps for some of the same reasons the authors Stuart and I documented for Pathfinders ––that is, the desire to explore a new medium, creative curiosity, the realization of a different—and with the advent of the web—a broader audience. Others recognize that apps provide an opportunity to sell one’s work in a way that has not been heretofore possible when published on the web. Even at $5.99, a literary app offers the possibility of netting more income than a work of web poetry. 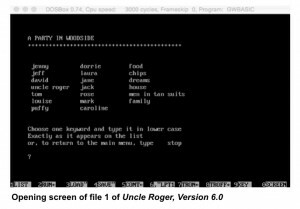 To put this into perspective, when Judy Malloy sold her boxed set of Uncle Roger on floppy disks in 1988 through the Art Com Catalog, it was for $15, and she sold 20 copies. By comparison, the app market is expected to be a $77 billion industry by 2017, with close to 50% of those apps costing $.99 or more (http://www.entrepreneur.com/article/236832). Challenges aside, which I am sure Kathi will discuss, literary apps offer a way to generate income from writing. So, here are the problems as I see it. The first is obvious: Unless the source code for a literary app is made openly available to scholars, it will not be possible to preserve the work, whether it is to migrate or emulate it. Luckily Jason Edward Lewis does indeed make his source code available off his website, but many others, like the first literary app, The Carrier, published in 2009, do not. And so when the work is no longer supported by the artists, it becomes obsolete. In fact, that particular app––a geo-locative graphic novel that includes 680 panels of story, takes place over a 10 day period, and incorporates many of the phone’s features as storytelling devices, like sending updates to the user via email––is a particularly telling case in that it required such server-side support. If in the past you have downloaded a copy of it to your mobile device, you will find today that though the splash page loads, the app itself does not launch. It is now not possible to document the work. All that is left is the project website, which offers mostly promotional information. The second problem may not be as obvious, but it is not any less challenging for scholars: We cannot easily study versions of literary apps because once an app is updated, the previous version is wiped out or access to beta versions shared for study expires. 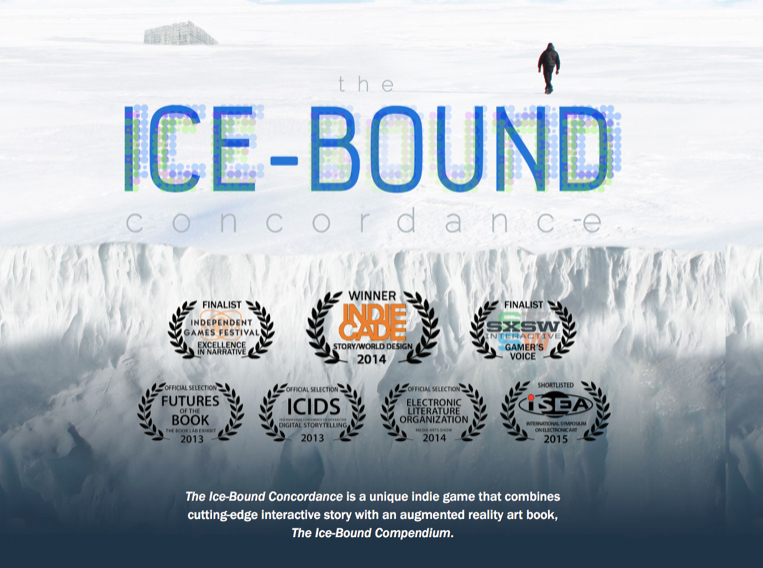 My beta version of Aaron Reed and Jacob Garbe’s “The Ice-Bound Concordance,” which I was sent to me because I supported their Kickstarter campaign, has expired, and I am no longer able to access it for the purpose of comparing it to the official version once it is released. What I am just starting to do to mitigate these problems with literary apps in regards to preserving them, now that I have moved my Electronic Literature Lab to its new space two weeks ago, is to decommission mobile devices with various operating systems, taking them offline, and saving literary apps, different versions of them on the various devices. This is an expensive endeavor, but one that needs to be undertaken in order to preserve this literary form for future study. My call to action for Digital Humanities scholars is this: Join me in my endeavors to document born digital literature. Here is what you can do if you make literary apps: Make the source code for all versions of your work available to others from a public site. Here is what you can do if you want to study literature apps: Publish scholarship about literary apps and in your work provide information documentation of the work through screen shots, descriptions of the contents, and the kind of interaction that occurs. These are not difficult activities to engage in but are important ones for the purpose of providing present and future scholars to understand the significant experimentation taking place in regards to literary production in the 21st century. Below is the information I collected about the impact of the promotions we have undertaken for Pathfinders. The data is derived from our analytics program, StatCounter, as well as Facebook Insights and Twitter Analytics. This information is included in the final report for the Pathfinders project, due August 1, 2015. These stats represent varying levels of engagement with the book by the public. Using a third party system called StatCounter, we have been able to determine who is visiting the site, where visitors are coming from, how long they stayed on any given page, and what pages they visited, and much more information. We initiated tracking at the moment of the book’s launch at noon PDT on June 1, 2015 until midnight of July 25, 2015. Australia, Brazil, Canada, Chile, China (Hong Kong), Colombia, Czech Republic, Denmark, Finland, France, Germany, Greece, India, Ireland, Italy, Japan, Korea, Mexico, Netherlands, New Zealand, Norway, Poland, Portugal, Saudi Arabia, Singapore, Spain, South Africa, Sweden, Switzerland, Taiwan, UK, and the US. 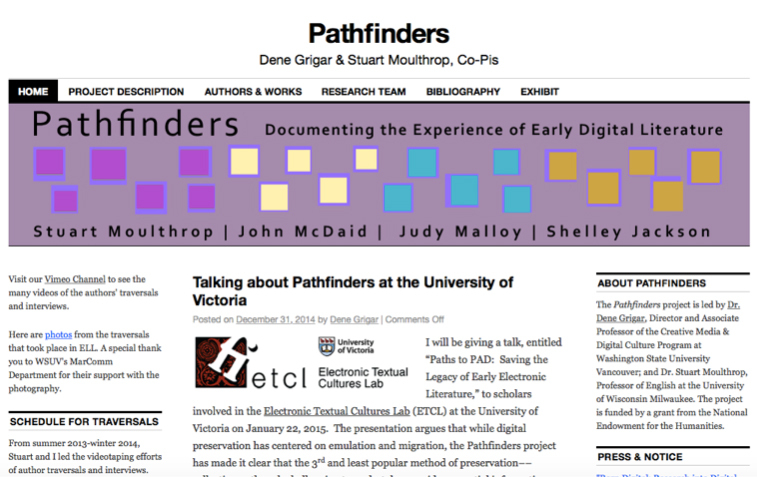 Launched on June 14, 2013, the Pathfinders blog documented the development of the Pathfinders project and made research available to the public as it was collected to facilitate sharing of information. The blog is also one of several entries into the Pathfinders book, thus helping to drive traffic to the book’s site. The statistics shown here cover these dates: 14 June 2013-25 July 2015. Social media has been used to inform the public about the Pathfinders project since May 2013. The stats listed below represent only those since late May 2015 that promoted the book’s launch. We have mounted a strong campaign to inform the public about the Pathfinders project, especially the book’s launch. The response has been positive and will continue to build as we move toward the ELO and ISEA conferences in August and the completion of the Traversals manuscript for MIT Press in September. I am very excited to learn that Pathfinders has been selected as the Editors’ Choice at Digital Humanities Now. As the site states, “This content was selected . . . by Editor-in-Chief Lisa Rhody based on nominations by Editors-at-Large Catelynne Sahadath, Bobby Smiley, Christopher Lao-Scott, Matthew Lincoln, Merisa Martinez, LauraAnne Carroll-Adler, Alyssa Reil, Ernesto Priego, Sasha Frizzell, and Grant Glass. All of us who worked on the project are honored by this. Stuart and I are taking a short break from the multimedia book to write a series of critical essays about Malloy’s Uncle Roger, McDaid’s Funhouse, Jackson’s Patchwork Girl, and Bly’s We Descend based on the information we learned from conducting the traversals and interviews with the authors for Pathfinders. The book, entitled Traversals: Digital Preservation for Early Digital Literature is under contract with The MIT Press and is planned for a 2017 release. Born-digital electronic creations, constituted as databases, hypertexts, or multimedia simulations, pose a challenge to cultural continuity. Dependent on outdated platforms, these works are jeopardized by obsolescence; yet their contributions often inhere in the way they interpret and configure their particular technical systems. 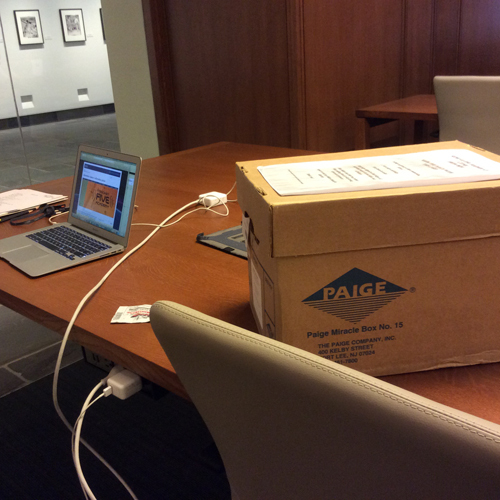 In our research project Pathfinders (2013-14), supported by the National Endowment for the Humanities, we introduced a method of preservation based on recorded user experience, which we call traversal. We set out to preserve a small set of important works that are rapidly becoming inaccessible, introducing a new strategy for preservation. Our effort implied a second phase, in which we would investigate the uses of this form of preservation. 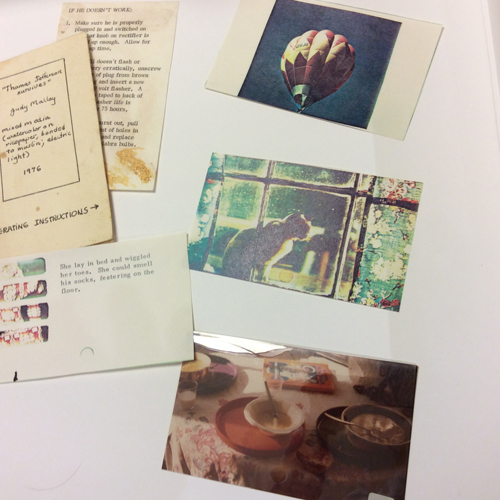 The proposed book investigates what knowledge of late-20th-century experimental writing is gained when we are able to examine early digital literary works in their intended context, through recorded encounters with the texts using original equipment. 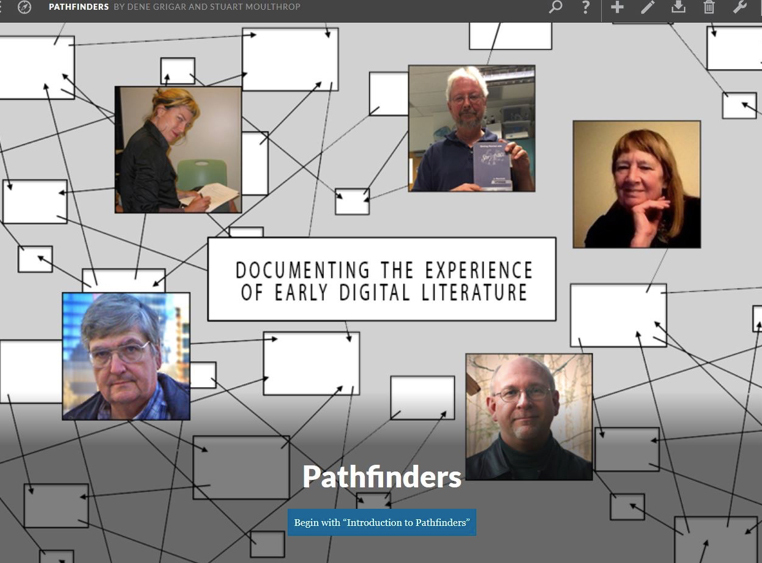 We offer four extended readings of works featured in the Pathfinders project, where interpretation is based upon traversals, author interviews, and related research material. These chapters are framed by a Foreword and three contextual chapters that relate our work to the study of experimental writing, electronic art, and most crucially, the digital humanities.